John Albert Bauer (1882 – 1918) was a Swedish painter and illustrator. 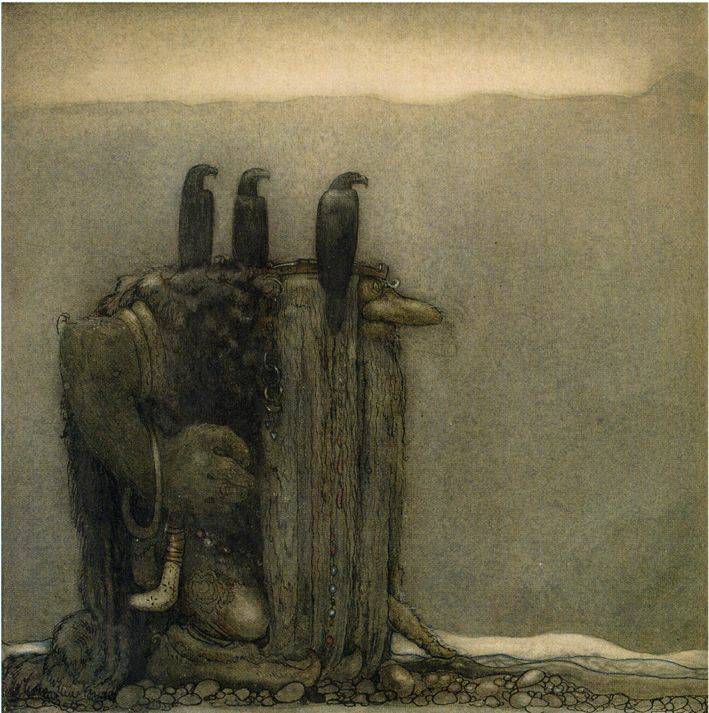 His work is concerned with landscape and mythology, but he also composed portraits. 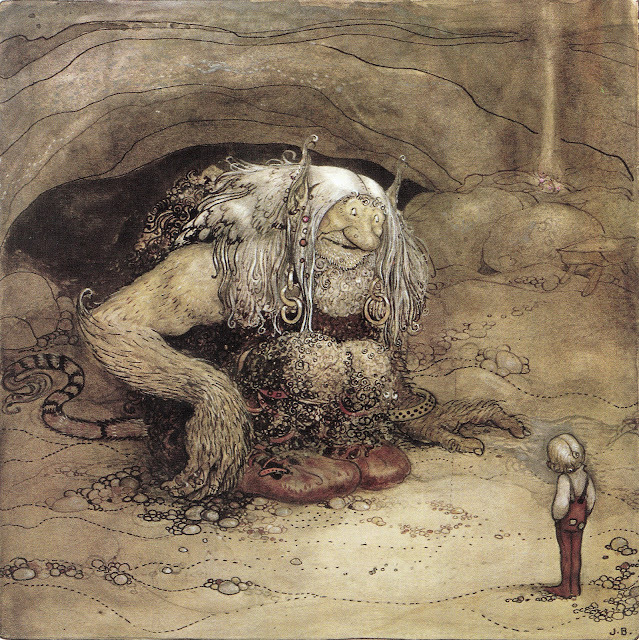 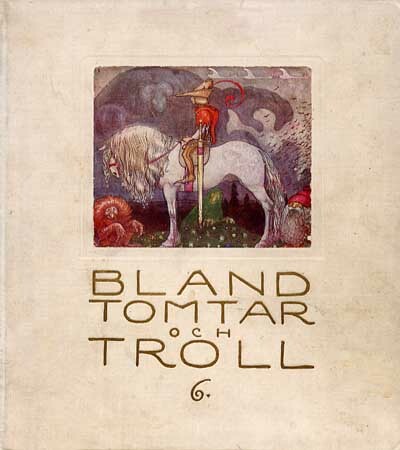 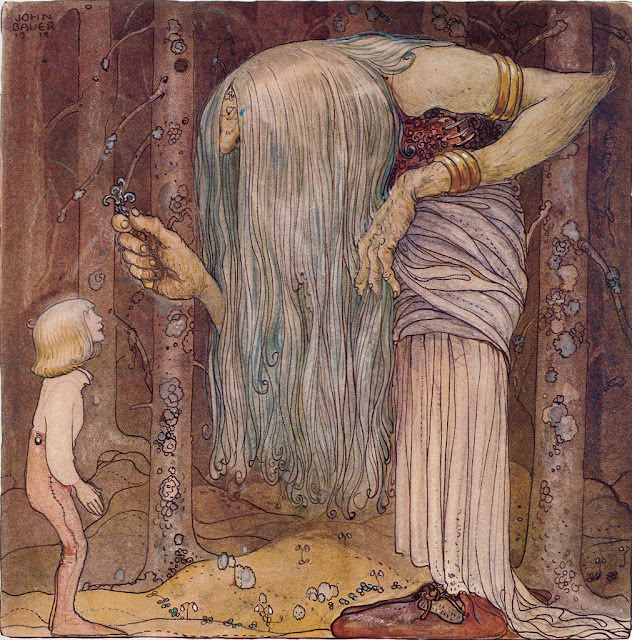 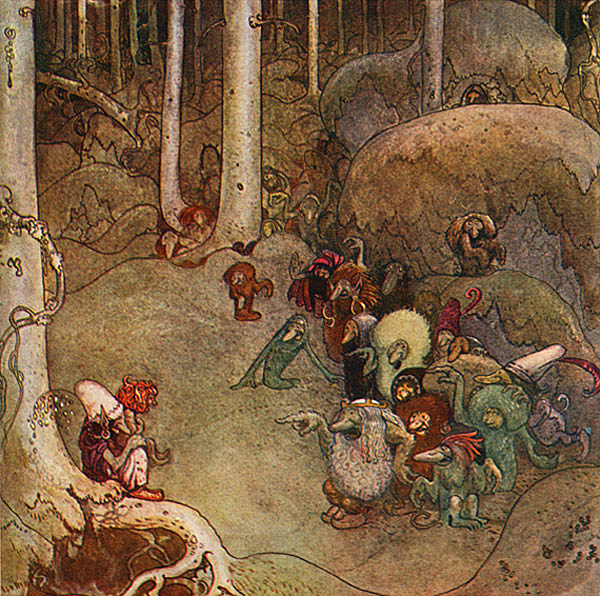 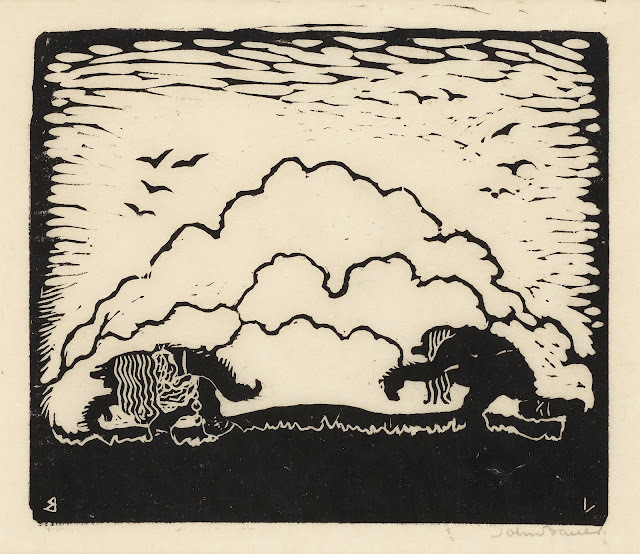 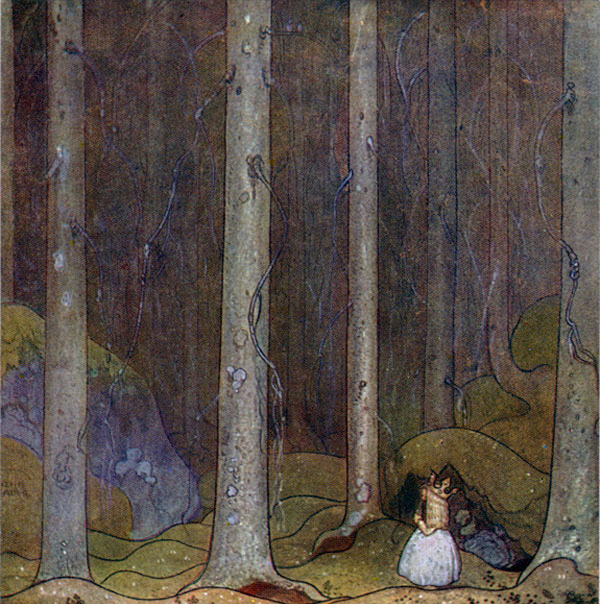 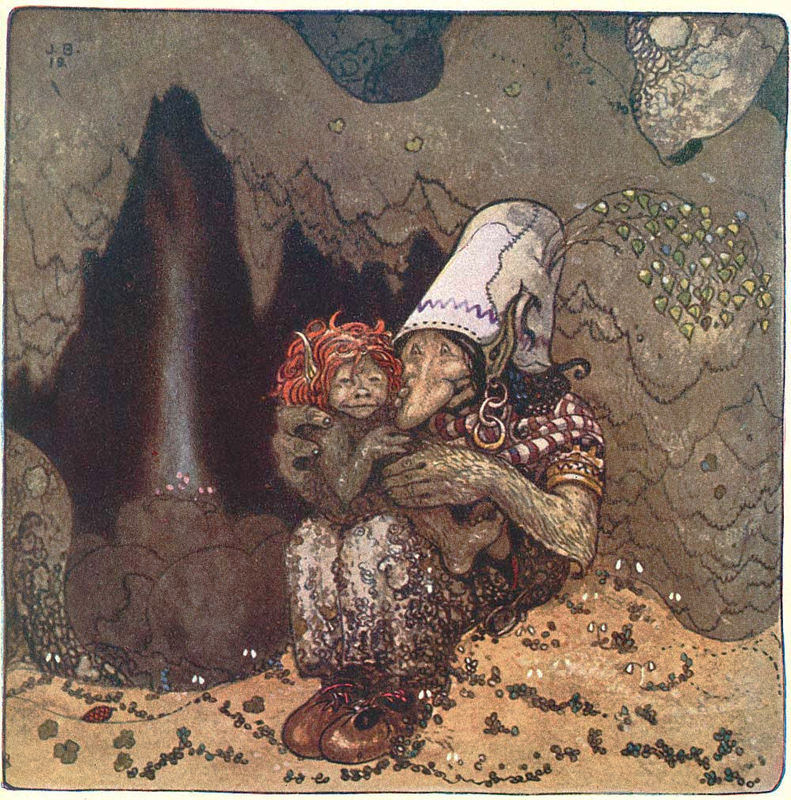 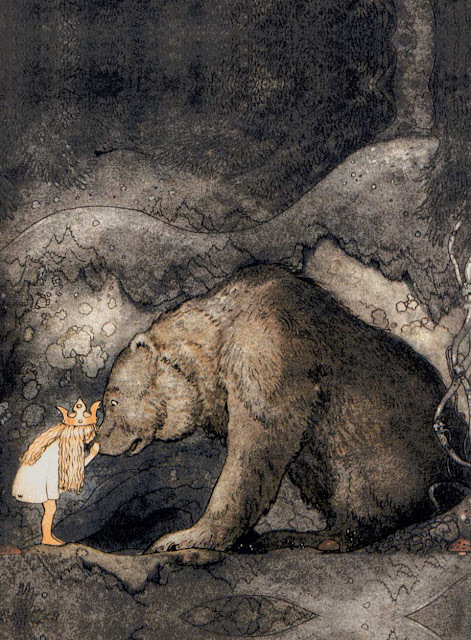 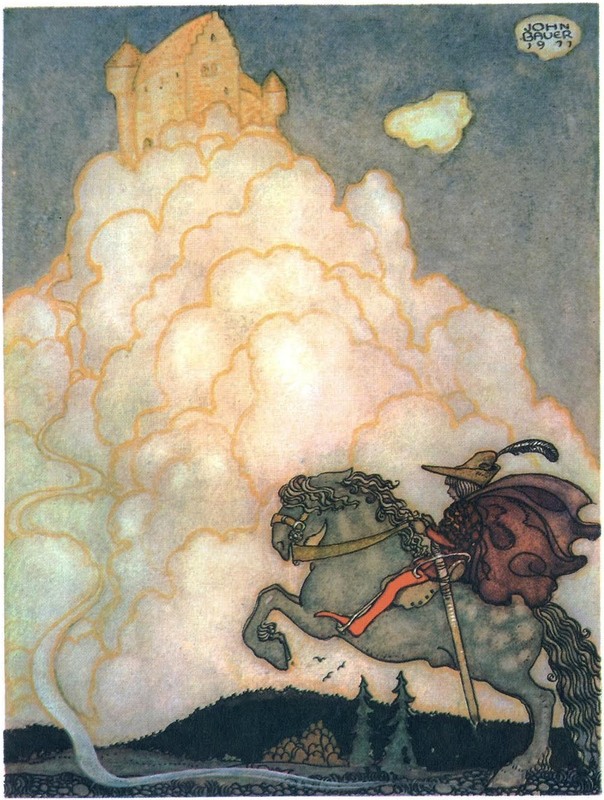 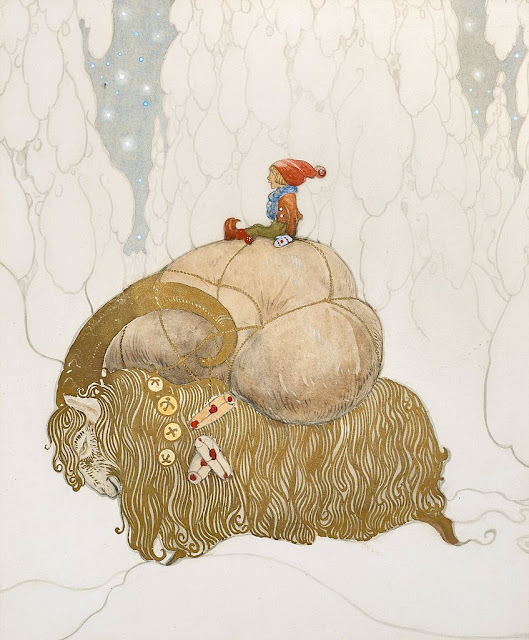 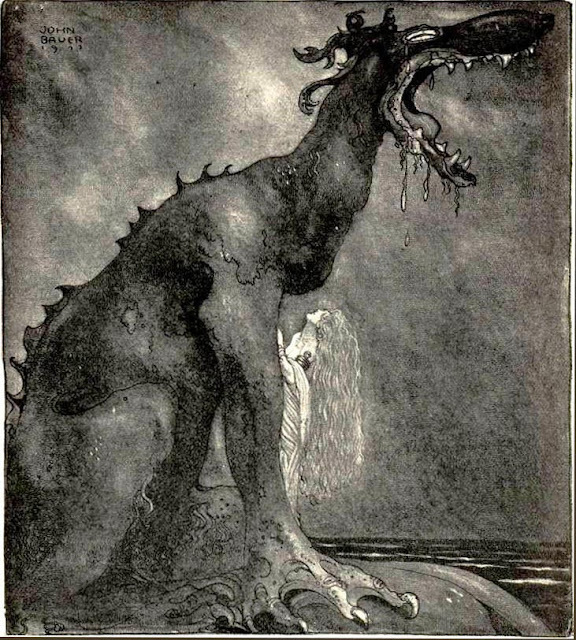 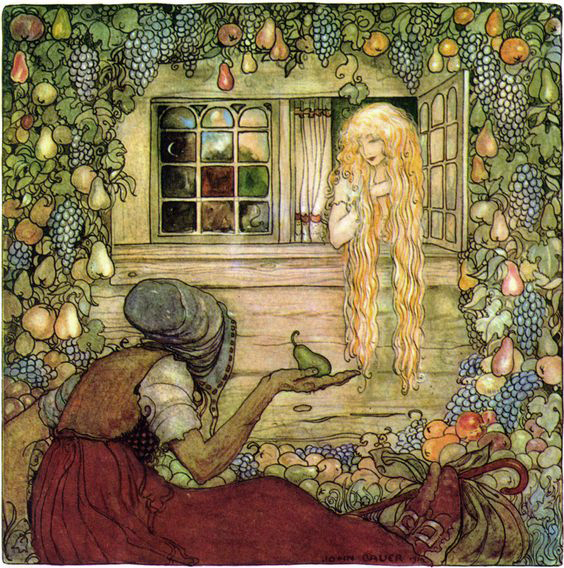 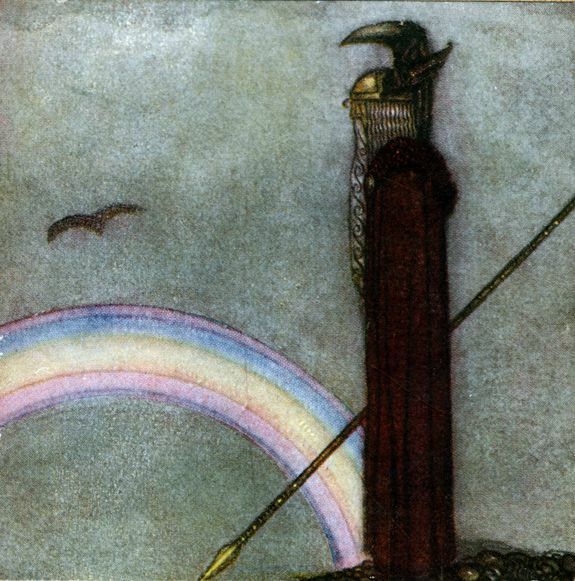 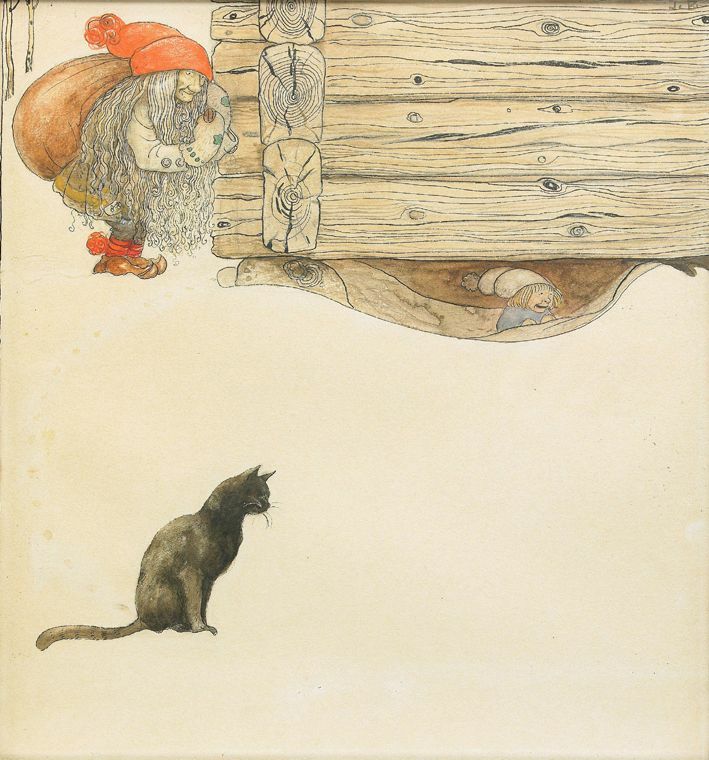 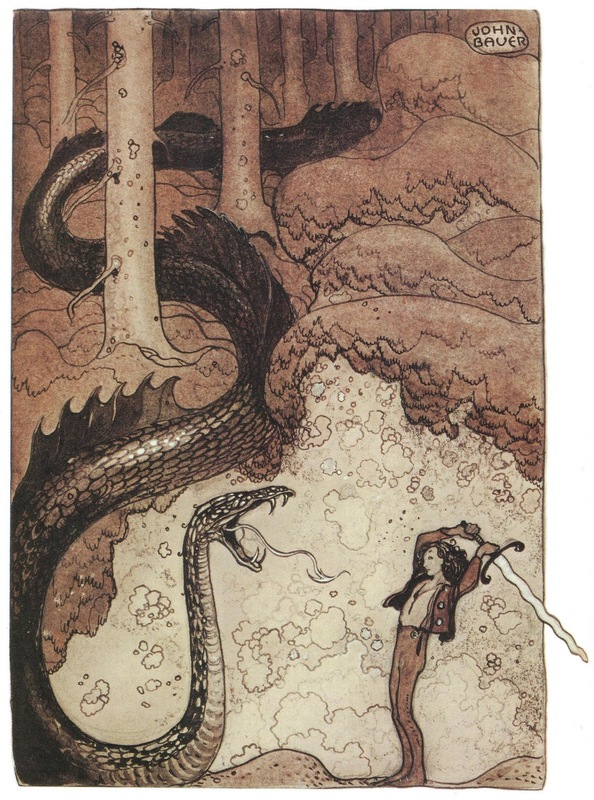 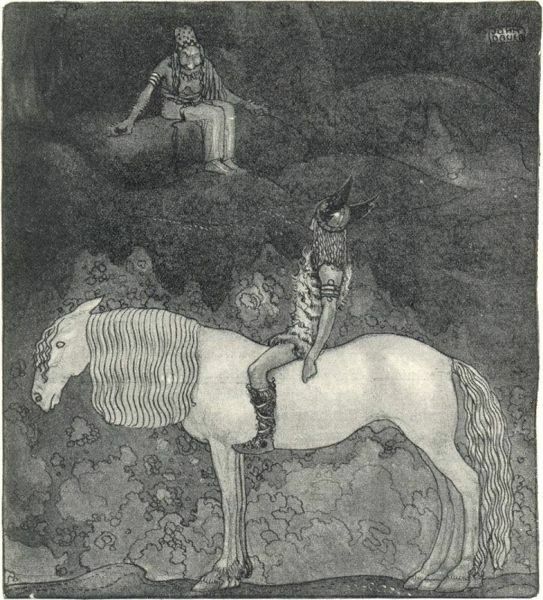 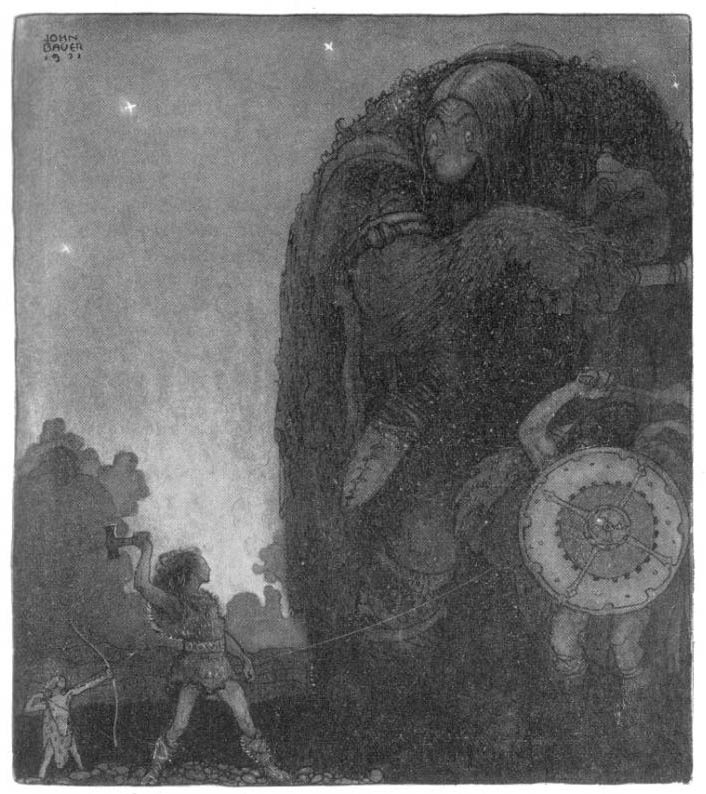 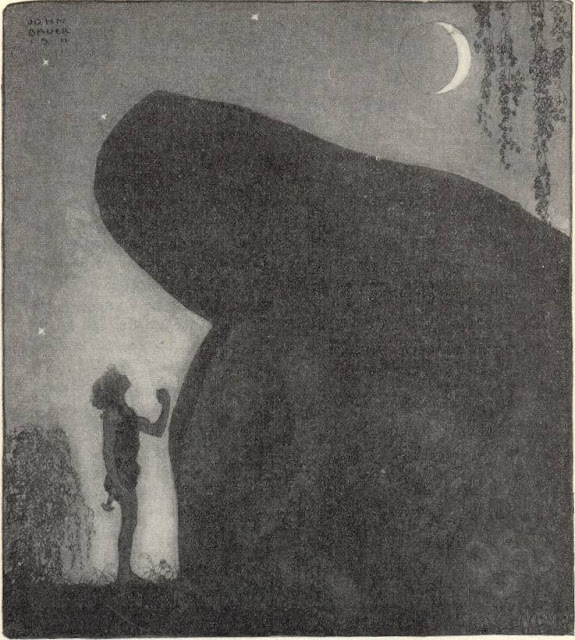 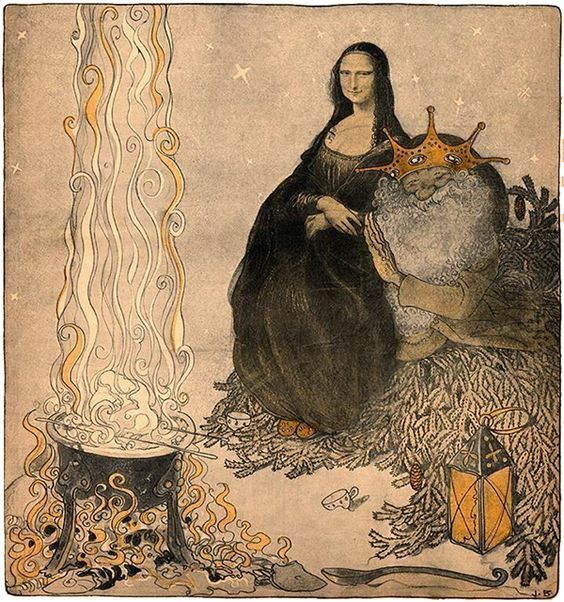 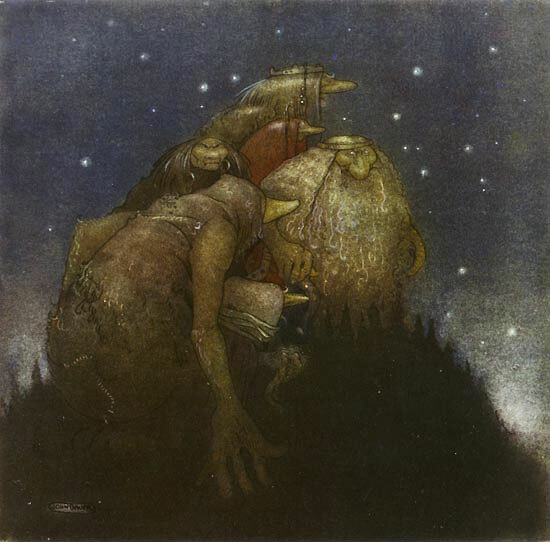 He is best known for his illustrations of early editions of Bland tomtar och troll (Among Gnomes and Trolls), an anthology of Swedish folklore and fairy tales. 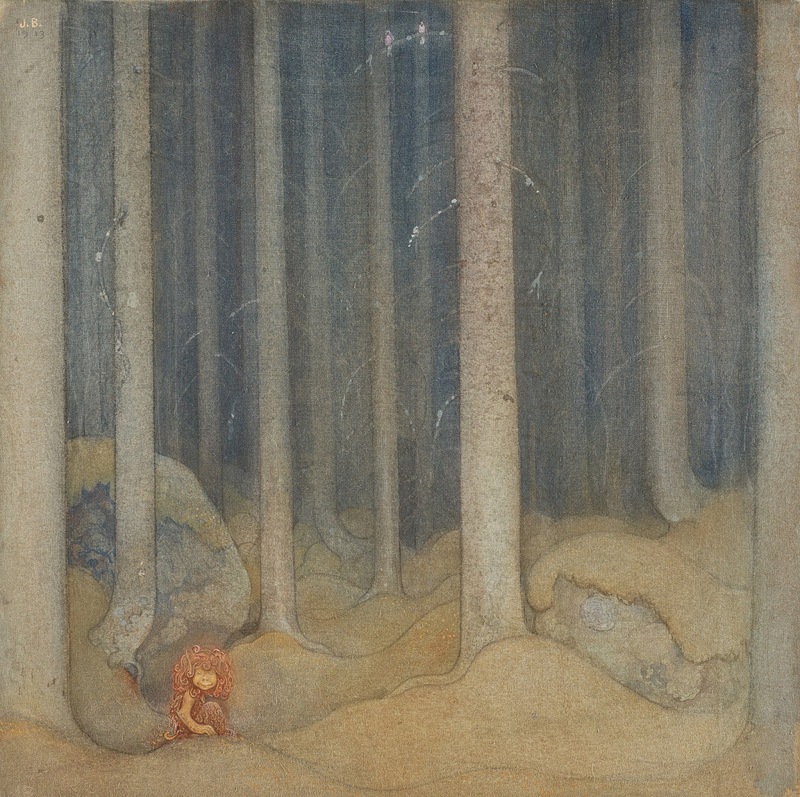 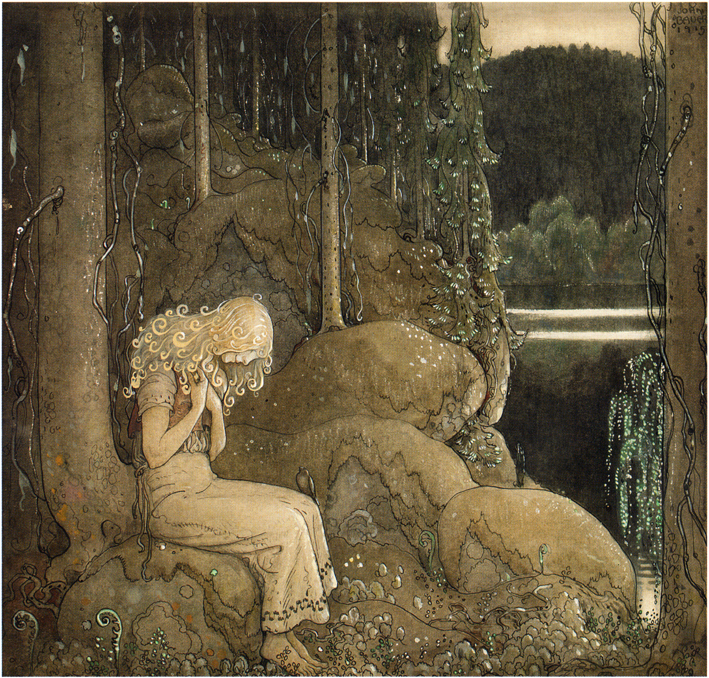 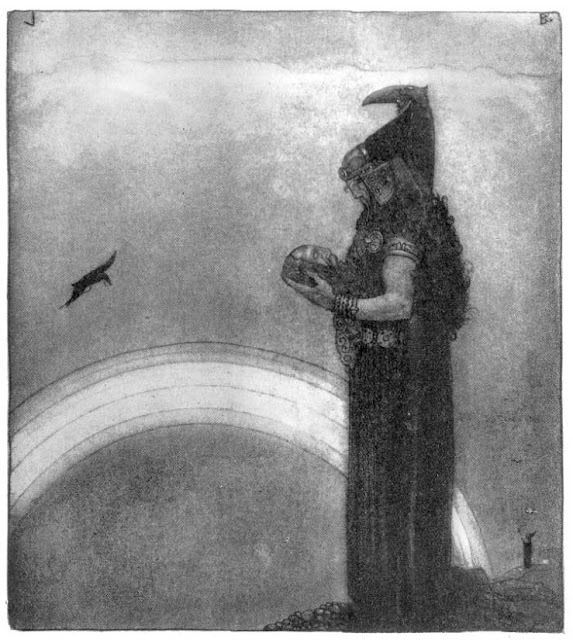 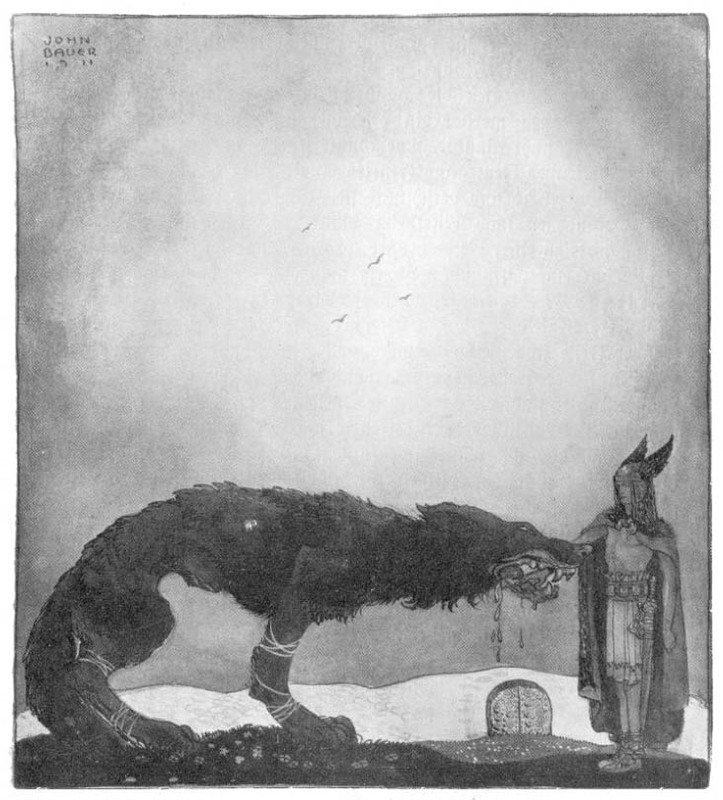 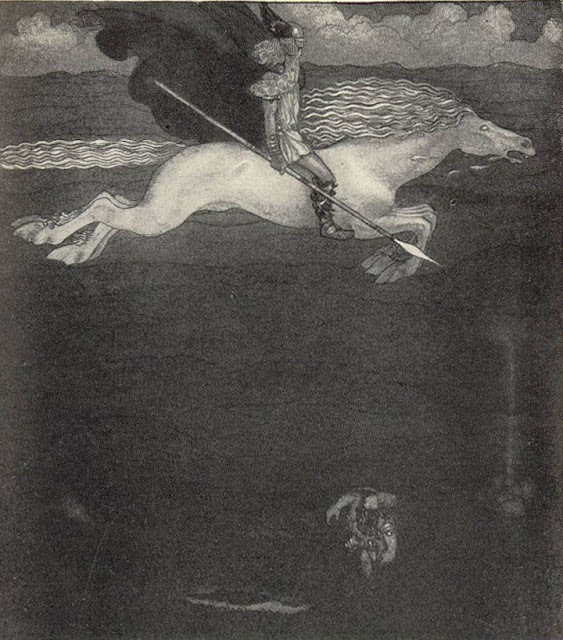 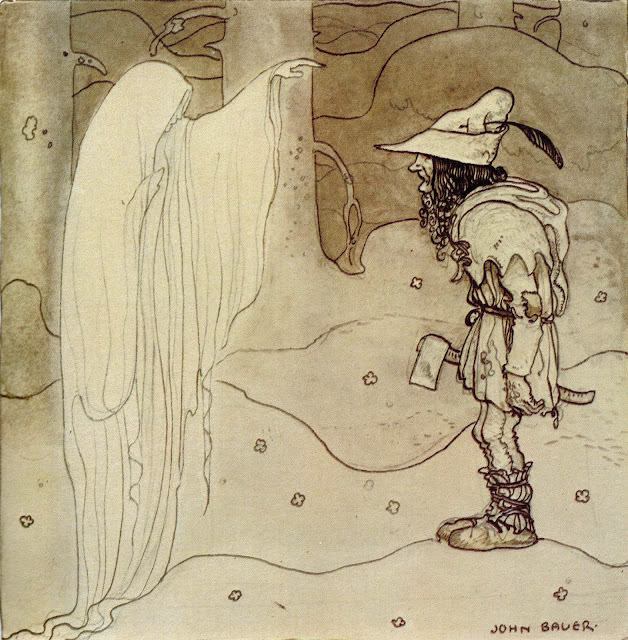 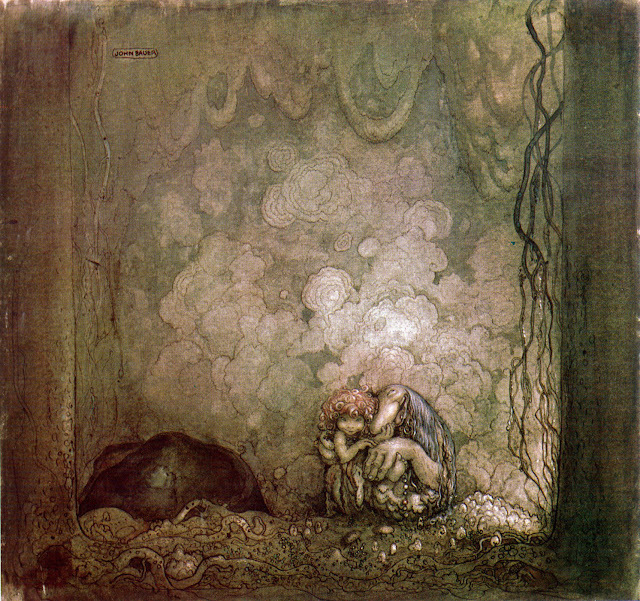 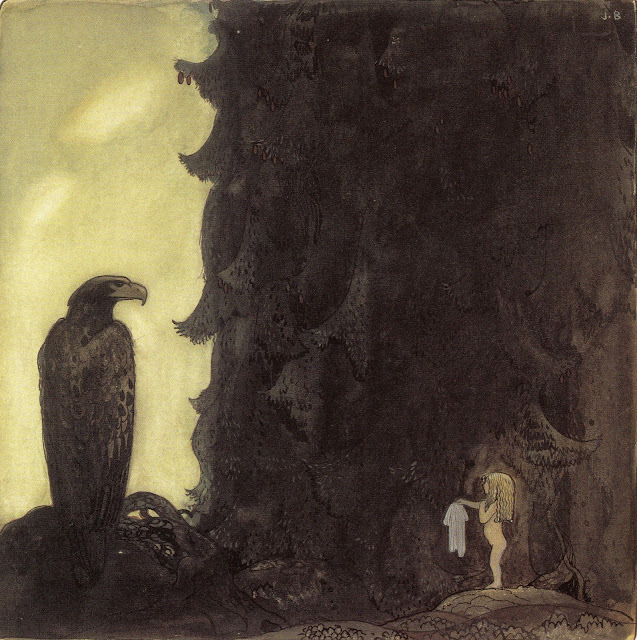 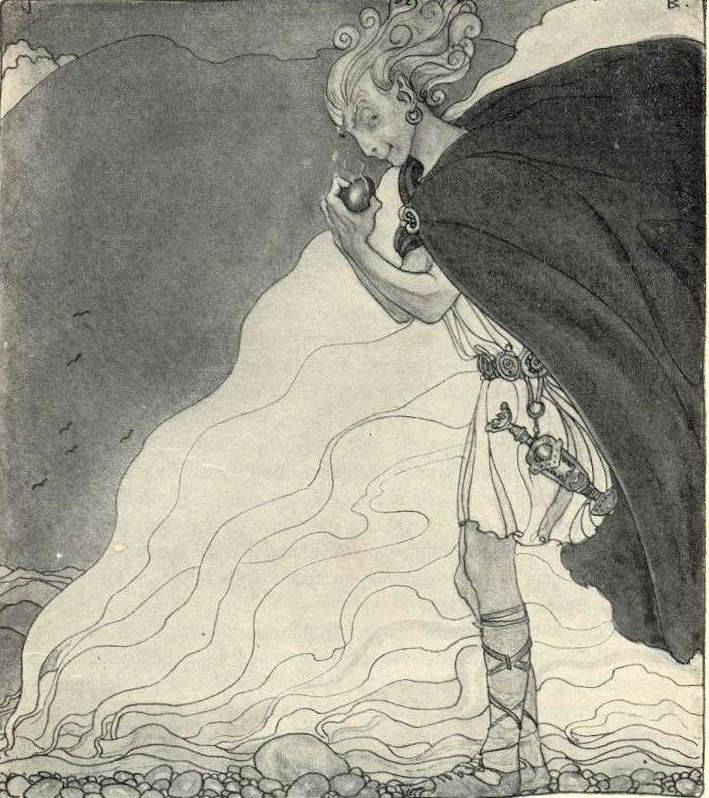 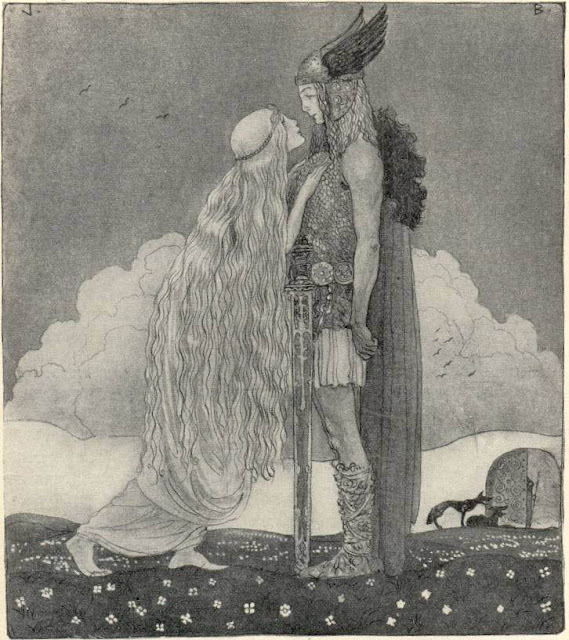 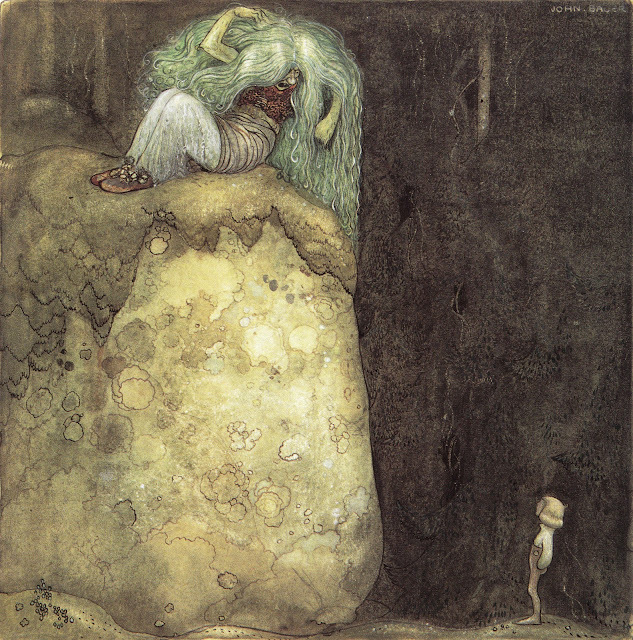 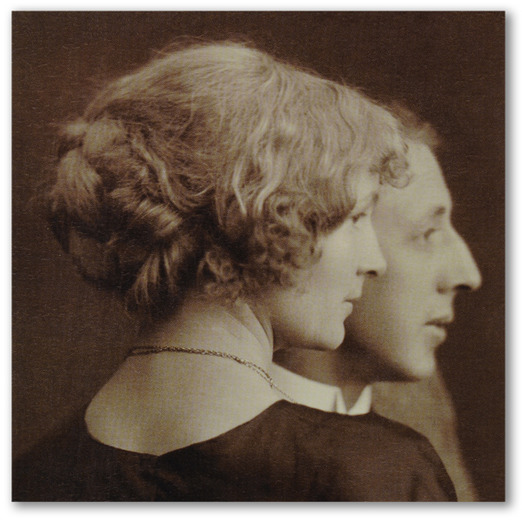 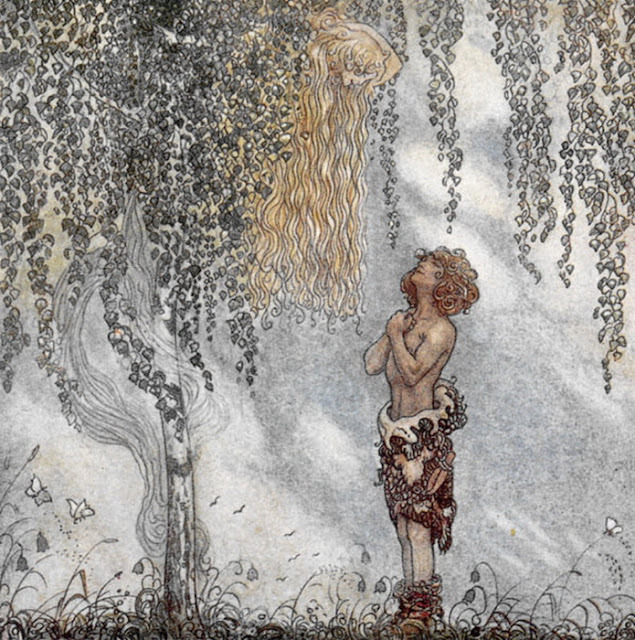 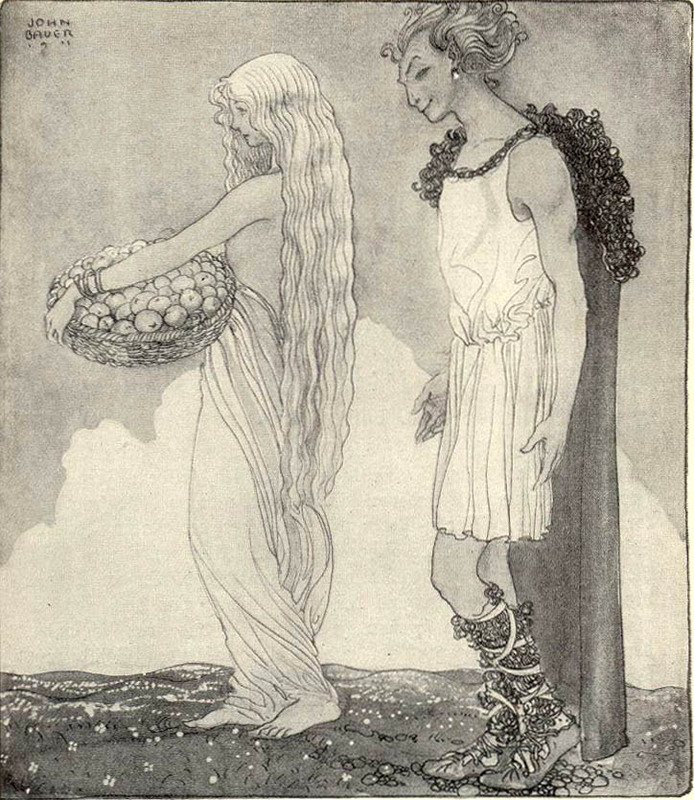 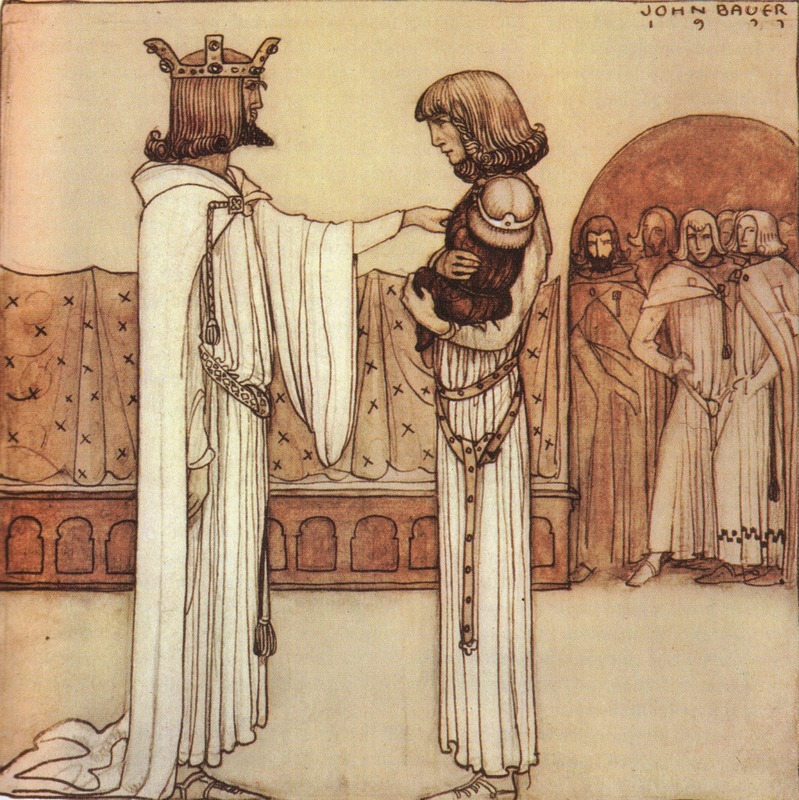 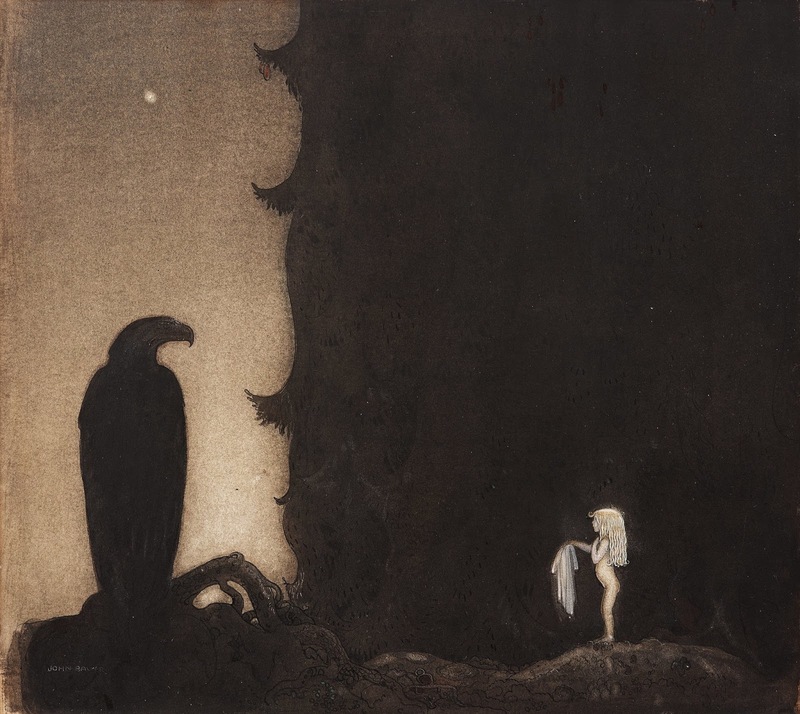 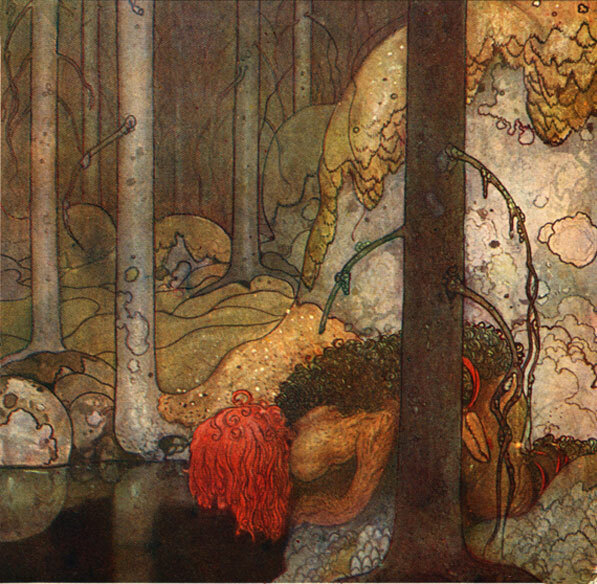 For more information on John Bauer see part 1, and for earlier works, see parts 1 - 3 also. 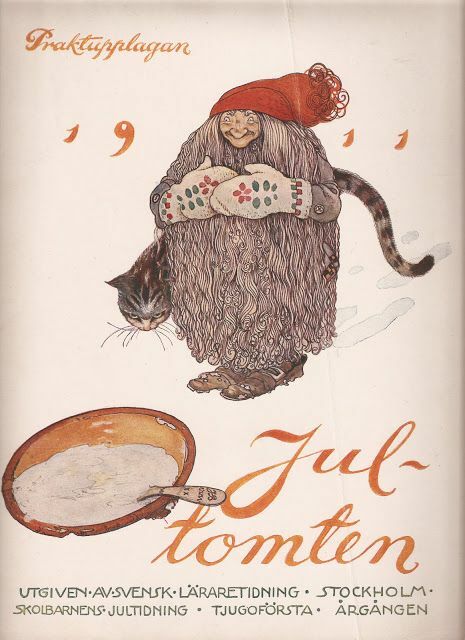 1911 "Our Father's God Saga"
1911 "Awake Groa, Awake Mother"
1911 "The Maiden in the Castle of Rosy Clouds"
"He Gave the Dragon a Mighty Blow"
1911 Front cover of "Jul-tomten"
"She Kissed the Bear on the Nose"
"The Boy Who Was Never Afraid"
1912 "The Boy Who Was Never Afraid"
"Here is a piece of a troll herb which nobody else but me can find"
"Oh my, What a little runt! 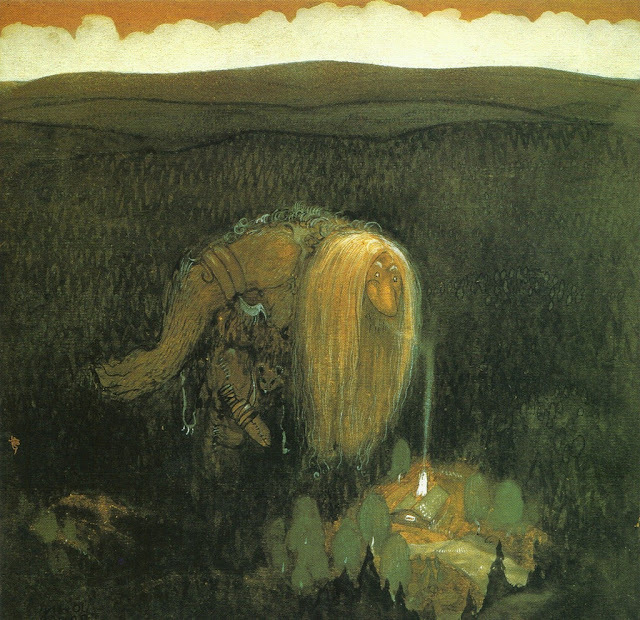 exclaimed the Troll"
"Trollsonen som hade solögon och vart skogsman"
"He drank at the lake"
"Humpe climbed up on his lap"
"Meeting on the Forest Path"